National home care provider, Caremark Limited has been rated in the Top 10 home care providers across 5 UK regions by the online homecare directory, Homecare.co.uk. 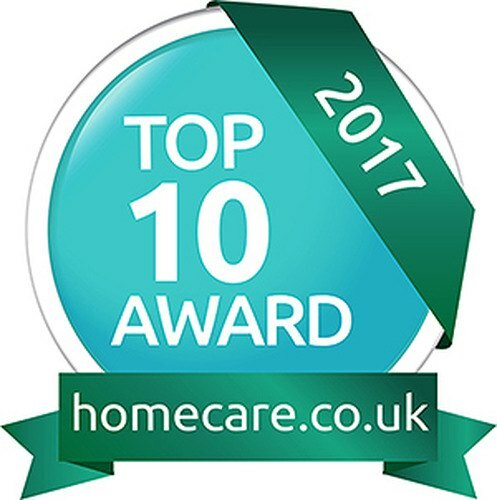 The Homecare.co.uk Top 10 Home Care Awards are based on nearly 5,000 reviews by clients, their families and friends between July 2016 and 30 April 2017 of registered providers they have used. which is then posted on the website for other enquirers to view. To date, Caremark has several offices which have been listed for two year in succession, with Caremark (Hillingdon) enjoying its third consecutive year of being in the Top 10 for the London region. The awards are based solely on Review Scores received and the winning offices are judged from calculating the best scores, using a combination of the number of reviews and the average of each rating. Homecare.co.uk is the go-to website for anyone looking for information about home care providers or care homes in their area and having a reviews-based service helps people search for a recommended provider.